When you host a Super Bowl party (or attend one) what kinds of foods are available? Do you do super bowl chili or do you make a hearty Gumbo? While we have been known to do either, we always have some yummy Super Bowl Appetizer Recipes on hand to last the 4+ hours of the game. I have pulled together some of my top picks to help you complete your Super Bowl Sunday Party menu plan! 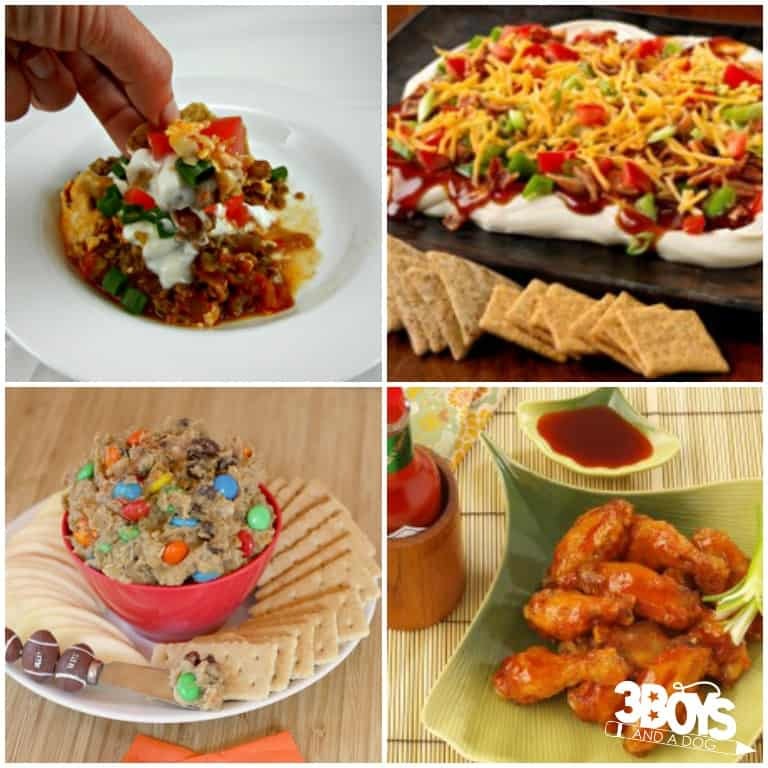 From dips, to finger foods, to snacks – no football viewing party is complete without yummy (and interesting) food! 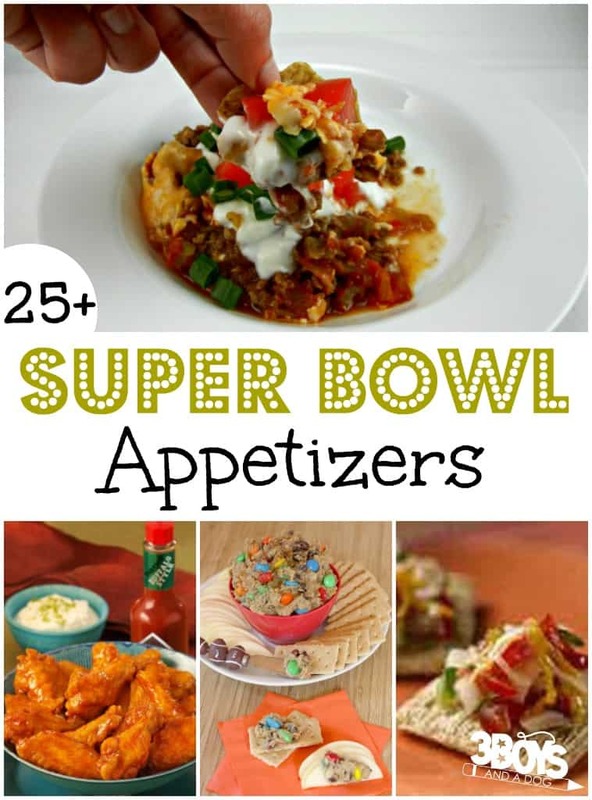 This Super Bowl Sunday be sure to wow your party guests with some of these yummy Super Bowl appetizer recipes. This Triscuit BBQ-Bacon Party Spread is a great topper for crackers or vegetable crudites! Make these little Baked Mozzarella Bites for a perfect finger food! These salty Roasted Pecans are awesome to snack on during the game! Sloppy Joe on a cracker? Don’t knock it until you try this Triscuit Sloppy Joe Game Day Recipe! The whole family will love crunching on this Pizzaria Snack Mix! Serve this Slow Cooker Seven Layer Dip with tortilla chips for an appetizer for all ages! These Tex-Mex Melts served on Triscuits are adorable for guests! Put out a plate of these Savory Parmesan Bites and watch them disappear in minutes! Want something a little more…substantial? Try these hearty Macho Nachos! Your kids will go bananas for this Monster Cookie Dough Dip! It’s sooooo yummy! For a classic go-to appetizer, you really can’t beat these Deviled Eggs! Serve this Spinach and Artichoke Dip hot with chips! Top crackers with this Cheesy BBQ Chicken for easy appetizers! Like spice? This Roasted Red Pepper Triscuit Dip Recipe is a great one for entertaining! This Creamy Parmesan Dip would be ah-may-zing with bread sticks! Your children will love you for making these delicious Pizza Pinwheels! I love jerk chicken and I love nachos. These Jerk Chicken Nachos are a no-brainer! This lovely Chicken Broccoli Braid only looks complicated. It’s a cinch to prepare! Whip up this easy Rotel Dip and set it out with chips. I promise your family will eat the entire batch! Seriously, mix things up – avoid the Plain Jane traditional wings and instead give your guests some fun and unique flavors of Buffalo Chicken! This Crockpot Buffalo Chicken Dip is one of my most popular recipes to date! Want a twist on traditional chicken wings? Try these East Asian Style Wings! These Avocado Chipotle Wings have just enough “kick” to wake up your taste buds! These Creamy Buffalo Wings have a flavorful sauce that will be a huge hit with the family! Try these Meat & Cheese Plate Ideas to put some simple appetizers together in no time! Learn how to create a vegetable tray for your healthy snacking! Have a seafood lover in the family? Try these Seafood Platter Ideas! This Rainbow Fruit and Veggie Tray Idea is easy to make and a beautiful presentation too! Prepare these At Home Nachos and have Tex-Mex cuisine at home! 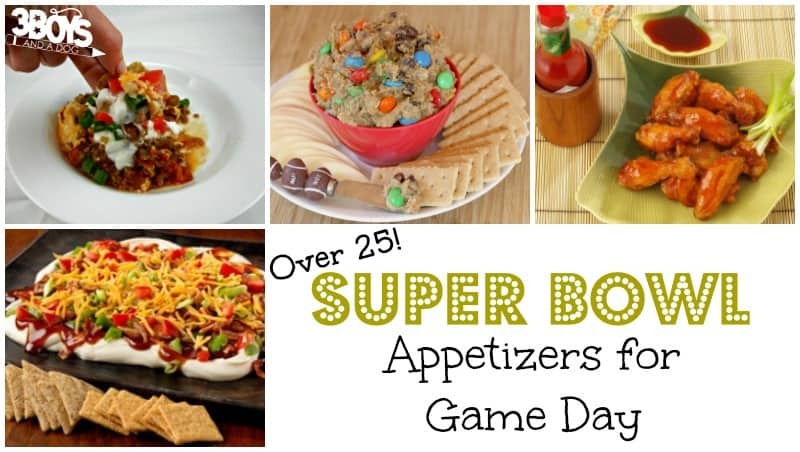 Do you have a go-to yummy Super Bowl appetizer recipe that I didn’t list? Be sure to leave me a comment telling me about it! I am always on the look-out for new and fun recipes! These Amazon affiliate resources are perfect for whipping up your own yummy Super Bowl appetizers!